Our 13N/14D Rajasthan-Kerala Jewish Tour lets one witness the rich diversity that India holds a possession of. Rajasthan and Kerala are the states that are culturally wealthy. Where Rajasthan boasts of its magnificent forts and palaces along with lively folk music and dance, Kerala boasts of its natural beauty, pristine beaches, scrumptious seafood and scenic backwaters. The two places make for a memorable India tour for those seeking to experience different flavours of India along with performing Jewish pilgrimage in the country. Our tour begins with Delhi, where the Mughal architecture offers a warm welcome. Through Agra, we shall head for our first destination in Rajasthan, Jaipur. We will seize the opportunity on Delhi-Agra-Jaipur to visit one of the best specimens of Mughal architecture, Fatehpur Sikri. 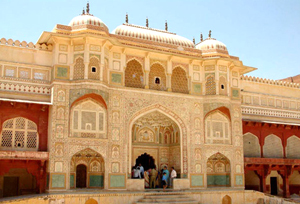 In Jaipur, we shall spend a day exploring the Rajputana architecture before visiting the quite city of Pushkar. Known for being of the few places where Brahma temple is located in India, Pushkar is a lovely place to de-stress and unwind. The city also boasts of pleasing ghats with a panoramic view. 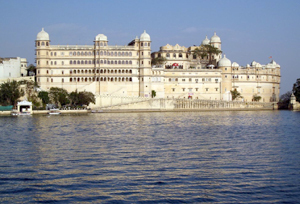 The Lake City, Udaipur will be another beautiful destination to visit in Rajasthan. Known mainly for its lakes and the palace situated amidst one of them, Udaipur is often dubbed as a romantic destination in India. Here we shall explore the major attractions and may also enjoy session of boating before we head to our first destination in Kerala, Cochin. Also known as Kochi, Cochin is a beautiful port town that reflects the charm of Kerala. It is here that we shall visit two Jewish places of worship, namely, North Parur Synagogue and Chendamangalam Synagogue. We shall also take the opportunity and visit Periyar where Kerala’s famed national park is situated. Our tour will conclude at the scenic backwater destination in Kerala, Alleppey, where we shall enjoy a stay at a houseboat and visit the villages. Upon arrival at Delhi, meet our representative who will assist you to the hotel. Overnight stay at the hotel. After the breakfast, we will go for full day sightseeing tour in Delhi. 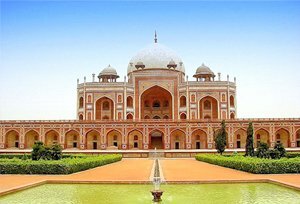 We shall visit New Delhi area: Laxmi Narayan Temple, India Gate, Parliament House, Qutub Minar, Purana Qila, Humayun's Tomb, Jantar Mantar etc. Post lunch, we will proceed for sightseeing of Old Delhi which includes Jama Masjid, Red Fort, Gandhi memorial and Rajghat. You can enjoy the light & sound show at Red Fort in the evening. Overnight stay at the hotel. Post breakfast, we shall visit the Judah Hyam Hall, a centre for Jewish and interfaith studies, and the house of Mr Baruch B. Benjamin, the first President of the Jewish Welfare Association New Delhi. Overnight stay at the hotel. Today, after the breakfast, we shall drive to Agra. En-route we shall visit Sikandra. On arrival at Agra, check-in at a hotel. In the afternoon, we shall visit Agra Fort, where we will see the Pearl Mosque, the Halls of Public and Private Audience. Overnight stay at the hotel. In the morning, visit Taj Mahal at Sunrise and after having breakfast, we shall drive to Jaipur. 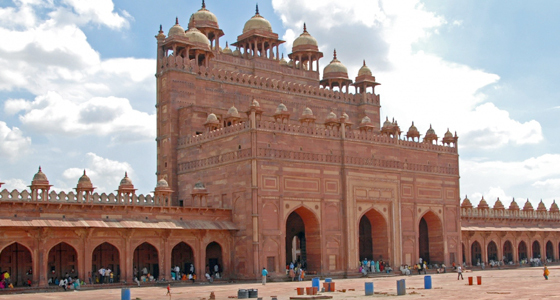 En-route, we will also visit Fatehpur Sikri, which is one of the finest examples of Mughal architecture. Later continue the drive to Jaipur. On arrival at Jaipur, check-in at a hotel. Overnight stay at hotel. Post breakfast, we shall visit the Amber Fort, which is one of the finest specimen of Rajputana architecture. We shall visit the Sheesh Mahal or the Hall of Victory. We will also get the opportunity to ascend the Fort on elephant’s back. In the afternoon, we shall visit the City Palace, the Observatory and we shall also drive past the Hawa Mahal and through the pink rose residential and business areas. Overnight stay at the hotel. After the breakfast today, we will drive to Pushkar. On arrival at Pushkar , we will check-in to a hotel. Evening will be kept free to visit surroundings, you can also attend Aarti ceremony at Lord Brahma Temple. The temple is one of very few existing temples dedicated to the Hindu God, Brahma. Overnight stay at the hotel. Today after the breakfast, we shall drive to Udaipur. On arrival at Udaipur, we will check-in at a hotel. Overnight stay at the hotel. From Udaipur, we shall fly to Cochin. 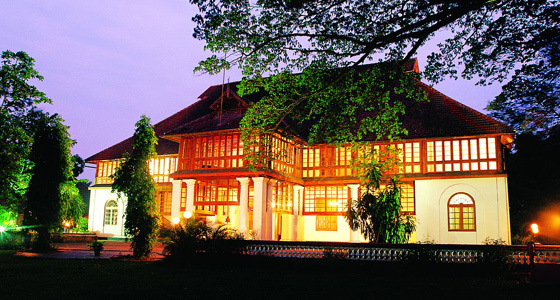 On arrival at Cochin, you will be met by our representative who will assist you to your hotel. Later, we shall go for sightseeing tour which will include Fort Cochin, Santa Cruz Basilica, Dutch Palace (Closed on Friday and Sunday, opening time 9:30 am to 4:00 pm) at Mattancherry, St. Francis Church and Chinese fishing nets. Post breakfast, we shall take guided tour of the ancient North Parur Synagogue and Chendamangalam Synagogue. Overnight stay at the hotel. Today, we shall depart for Thekkady (Periyar Wildlife Sanctuary). On arrival, check in to your hotel. 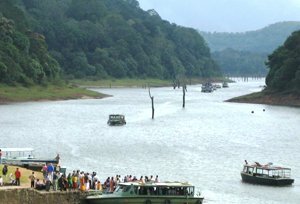 In the afternoon, we will go for a boat ride at Periyar Tiger Reserve to witness the wildlife in the sanctuary. The boat ride in the lake is ideal way of spotting elephants and avifauna, for which the park is well known. Overnight stay at the hotel. After the breakfast, we shall leave for Alleppey, which is known for its backwaters. On arrival, transfer in to an A/c deluxe Houseboat. The houseboat will take you to the virgin villages of Kerala to explore the real lifestyle of locals. Overnight stay at the Houseboat. Post breakfast, you will be driven to Cochin. On arrival at Cochin, we will schedule your drop at the airport for journey to onward destination.